Escape Room (film, 2019). A 2019 psychological horror film with "PG-13" rating by Sony Pictures Releasing/Columbia Pictures. Directed by Adam Robitel. Official Trailer. Escape Room is a 2019 psychological horror film directed by Adam Robitel. 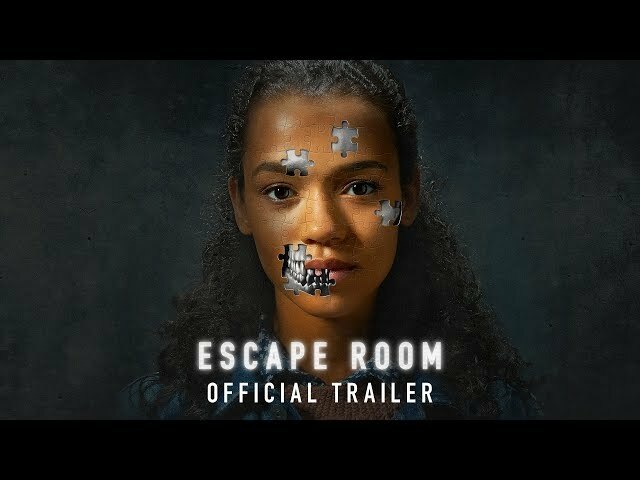 ESCAPE ROOM - Official Trailer (HD). In Chicago, Illinois, physics student Zoey, stockboy Ben, daytrader Jason, war veteran Amanda, trucker Mike, and escape room enthusiast Danny receive invitations to the Minos Escape Room Facility for a chance to win $10,000. As everyone arrives they gather in the facility's waiting room and find out they are locked inside, thus beginning the game. Searching for clues, Zoey inadvertently activates heating traps; as the heat intensifies, Zoey manages to unlock a vent by pushing down coffee coasters. As the players make their way through, Amanda has a flashback of crawling through the aftermath of an IED attack in Iraq. Everyone escapes just before the room is engulfed in flames. They find themselves in a winter cabin, with the door locked by a seven-letter combination with the hint being "You'll Go Down in History". The room's clues trigger Ben to have a flashback of driving drunk with friends, singing "Rudolph the Red-Nosed Reindeer" before crashing the car. He suggests "Rudolph," which unlocks the door, and the group escapes into a room resembling a frozen lake. They find the locked exit and a single red coat, and use a fishing pole and magnet to retrieve a key encased in an ice block. Danny falls through the ice and drowns, and the remaining players are forced to melt the ice block with their body heat to free the key. Jason has a flashback of freezing beside someone in a red coat; the players unlock the exit as the ice explodes and collapses. The five players enter an upside-down billiards bar, and the song "Downtown" begins to play on repeat. In a version of musical chairs, whenever the song stops, a section of floor falls away, revealing a long elevator shaft. They find a locked safe, and identify a missing 8 ball as the key to the room. Zoey has a flashback of the aftermath of a plane crash, and realizes the puzzle's clues are upside down. Amanda retrieves the eight ball from the safe, but accidentally drops it. Sacrificing herself, she throws the ball to Jason before plummeting to her death. 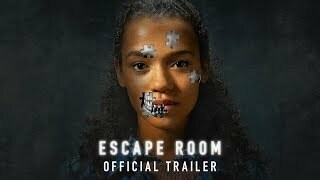 The film Escape Room was scheduled to be released by Sony Pictures Releasing and Columbia Pictures on January 4, 2019 (United States), on February 1, 2019 (United Kingdom) and on February 28, 2019 (Germany). The duration of the film is 100 minutes. With a budget of $9 million, the film grossed over $153.4 million. Escape Room got average rating from critics. But the audience likes the film. Audiences polled by CinemaScore gave the film an average grade of "B" on a scale ranging from A+ to F.